The Fira del Vi (Wine Fair) took place at the Claustro de Santo Domingo (Convent) in Pollença this weekend just gone. 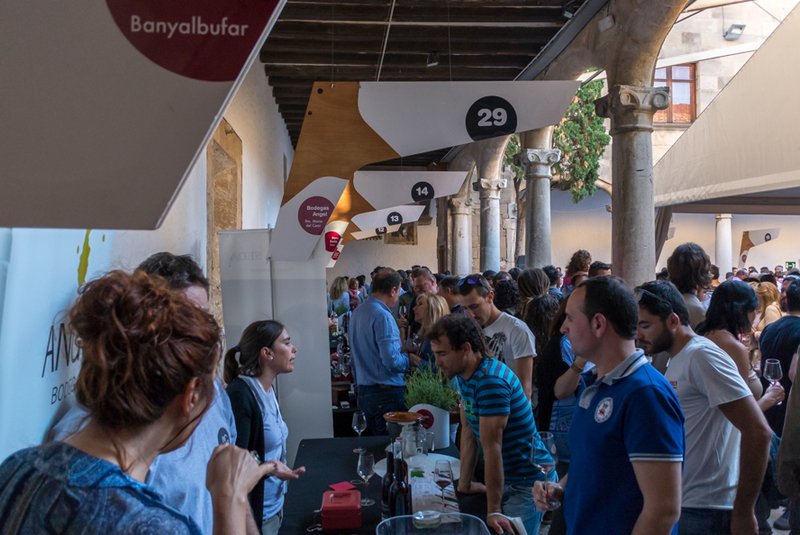 A Nit del Vi (Wine Night) will be held at the Patio de la Misericòrdia in Palma on Thursday, May 8th, from 18h00 to 22h00, with Petits Cellers (small, independent bodegas) presenting their nectars. The photo was taken in Pollença, Mallorca, Baleares, Spain. The date: May 4th, 2014.